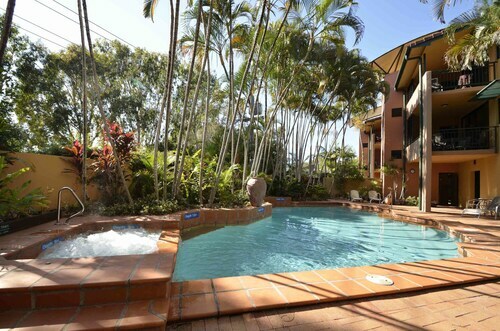 Situated near the beach, this hotel is within 3 mi (5 km) of Hastings Street, Noosa Beach, and Noosa National Park. Little Cove and Noosa Marina are also within 3 mi (5 km). This family-friendly Noosaville villa is located on the riverwalk, within 3 mi (5 km) of Noosa Marina, Noosa National Park and Noosa Beach. Eumundi Market is 10.6 mi (17 km) away. 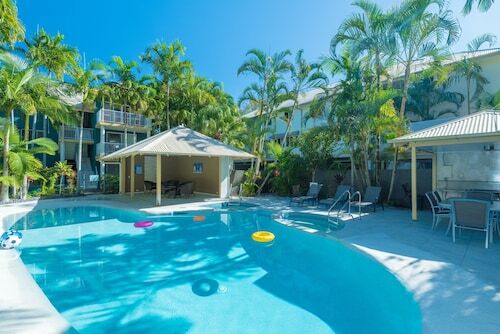 Situated near the beach, this apartment building is within 3 mi (5 km) of Noosa Marina, Noosa Beach, and Hastings Street. Noosa National Park is 2.7 mi (4.4 km) away. 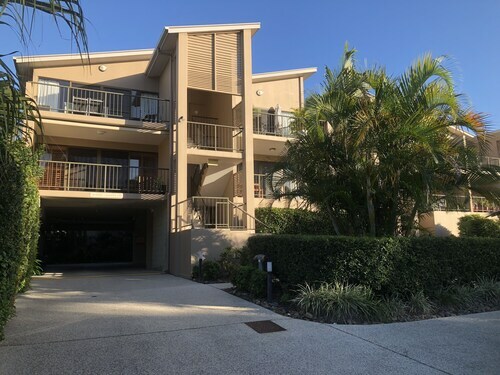 With direct access to the beach, this Noosaville apartment building is on the riverwalk and within 3 mi (5 km) of Noosa Marina, Noosa Beach, and Hastings Street. Noosa National Park is 2.8 mi (4.5 km) away. Situated in Noosaville, this luxury apartment building is within 3 mi (5 km) of Hastings Street, Noosa Beach, and Noosa National Park. Little Cove and Noosa Marina are also within 3 mi (5 km). Situated in Noosaville, this luxury apartment building is within 3 mi (5 km) of Noosa Marina, Hastings Street, and Noosa National Park. Lake Weyba and Little Cove are also within 3 mi (5 km). 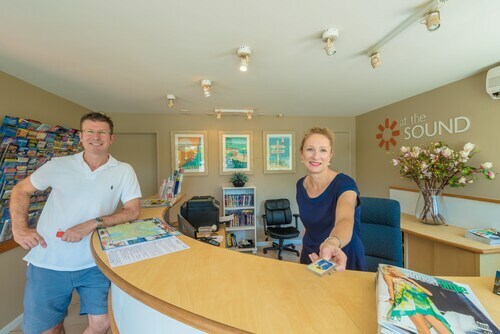 Planning a visit to Sunshine Coast? Hoping to find a place to crash near the heart of town? 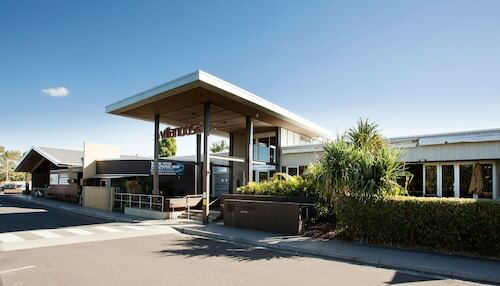 You can choose from approximately 106 hotels within 5 kilometres of the heart of Noosaville on Wotif. 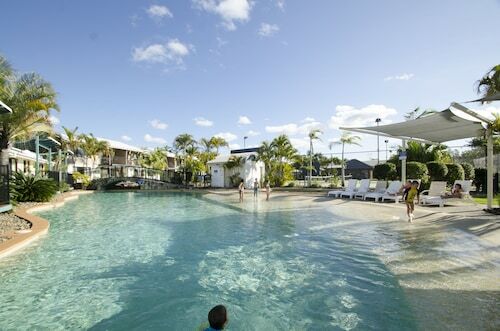 It doesn't get much more central than the Noosa Keys Resort and the Verano Resort! 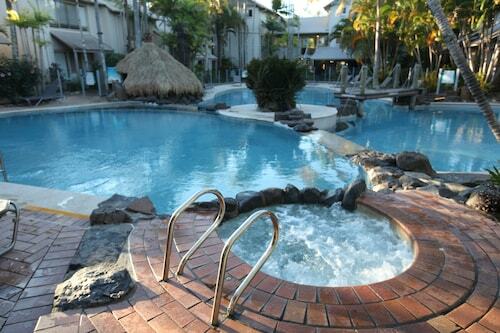 You should also take a squiz at the Noosa Outrigger Beach Resort the Clearwater Noosa. Hastings Street is a neighbourhood that lies 4 kilometres from the heart of Noosaville and has 15 accommodation options. The Fairshore Noosa and Netanya Noosa are just a few of the places to base yourself in and around Hastings Street. Find your best putter and head out to the well-manicured greens of Noosa Springs Golf Club. Spend your stay at RACV Noosa Resort and The Rise Noosa, and you'll be quite close to this attraction. Noosa Marina is a distinctive landmark nearby, and can easily be spied from a distance. Rest your head at Portside Noosa Waters and Noosa Lakes Resort and you can stop by this site everyday. 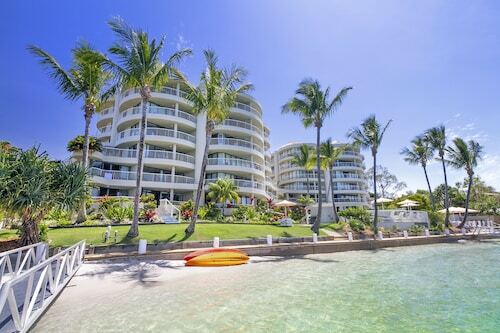 For more options, look at the Oceans Mooloolaba and the Eumarella Shores Noosa Lake Retreat. They are 30 kilometres and 3 kilometres respectively from the main center. Further alternatives are the Alexandra on the Pacific, 30 kilometres away, and the Maison Noosa Beachfront Resort, 4 kilometres. The nearby localities of Eumundi and Lake Macdonald are worth going to. Eumundi is 12 kilometres to the southwest of Noosaville, while Lake Macdonald is 12 kilometres to the west. 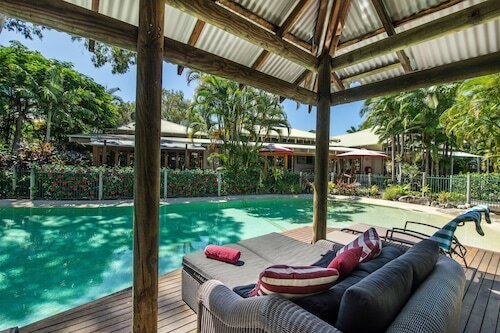 Eumundi hotels and apartments are the Eumundi Gridley Homestead B&B and Coverdales B & B at Eumundi. 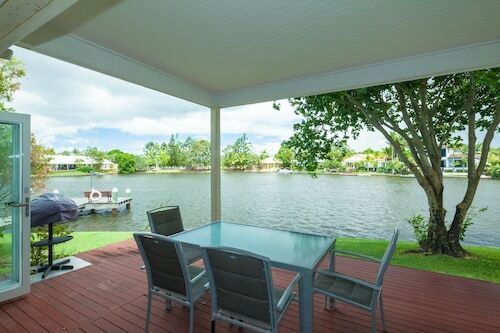 The Cooroy Luxury Motel Apartments Noosa and Alaya Verde are some of the options in Lake Macdonald. Sunshine Coast Airport is the most practical airport, and can be found 20 kilometres away from central Noosaville. Conveniently located hotels include The Sebel Twin Waters and the Sand Dunes Resort. How Much is a Hotel Room in Noosaville? 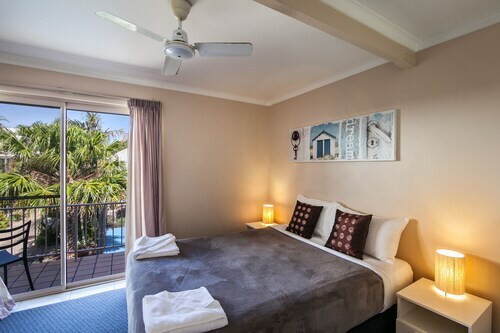 Hotels in Noosaville start at AU$99 per night. Prices and availability subject to change. Additional terms may apply. Amazing views and the apartment decor was very nice. The unit we stayed in was excellent. Very clean and well maintained, and of a high standard throughout. Really impressed with the cleanliness. However choice of blinds in the bedrooms is not ideal, as light streams into the bedroom and it was hard to sleep in the mornings. Location: Located right on Gympie Terrace so it is close to the river, however it is also extremely noisy, and our apartment looked right onto the bus stop. I probably wouldn't stay again, because of the location.